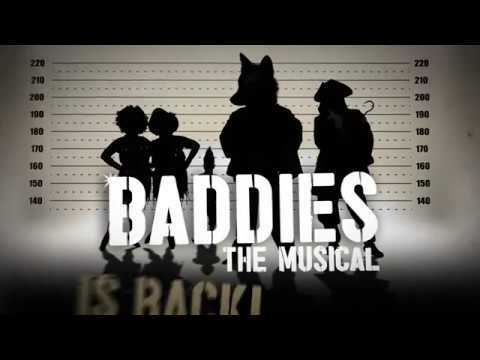 Baddies: the Musical is back! Along with fellow offenders Rumpelstiltskin, The Ugly Sisters and Captain Hook, the Big Bad Wolf is determined to find out who’s decided to change the fairytale rulebook and why. How are you supposed to tell who the good guys are when there are no baddies around? After a hugely successful sell-out run last Christmas, and an Offie nomination for Best Production for Young People, the baddest musical is back in town. Don’t miss your chance to see it again! Book a premier experience and get the very best seats in the house (centre, front row), access to the Baddies pre-show VIP Lounge and the chance to buy exclusive signed merchandise. Premier seating is limited and can be booked online or by phone. Eat pizza, watch the show, meet the cast and take part in a whole host of activities before you bunk down on the set for the night. We'll wake you up with breakfast and a goodie-bag in the morning too! Love the songs from Baddies: the Musical? Join us for this very special sing-a-long performance. If you are attending a relaxed performance, you may find Baddies: the Musical visual story (PDF, 1.6MB) useful. If you are attending a captioned performance, you may find our pre-show touch tours helpful - please contact our Box Office team on 020 7645 0560 to book. We stepped inside the rehearsal room to see what the Baddies were up to.